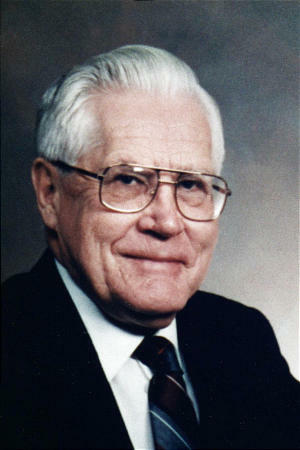 Daniel H. Ludlow was born on March 17, 1924, in Benjamin, Utah. He obtained a Bachelor's degree from Utah State University and later studied at Indiana and Columbia Universities. He married Luene Leifson on June 10, 1942, in the Salt Lake Temple, and they had one son and eight daughters. Daniel Ludlow was former director of the Correlation Department of The Church of Jesus Christ of Latter-day Saints, or Mormon Church for 15 years. He was also a religion professor and dean of Religious Instruction at Brigham Young University. He died on February 14, 2009 of causes incident to age. He was 84 years old. ↑ LDS Week, Daily Herald, March 29, 2009. This page was last edited on 23 September 2010, at 14:32.